You’ll find details of loads of places to stay in the Accommodation section. But if you want a few places where you can’t really go wrong then take a look at this page. Just six resorts / bungalows / guesthouses plus a few alternatives ranging from 5 star luxury to basic beach huts. Which are Koh Chang’s Best Hotels? As unanswerable questions go, that’s one of the most unanswerable because everyone has differing budgets and requirements when choosing a hotel on Koh Chang or anywhere for that matter. So what’s best for one person, isn’t going to be best for another. So, first things first, this isn’t just a list of the most luxurious resorts you’ll find on the island, they are simply places that not only do I like, but based on the emails I receive and the reviews I see online are well received by their guests too. There are well over 200 different resorts, hotels, bungalows, guesthouses and huts to stay in on Koh Chang, many of which are pretty ‘samey’ so another of the criteria for the resorts that I have listed is that they also have to offer something different to the norm. I’ve limited the selection. 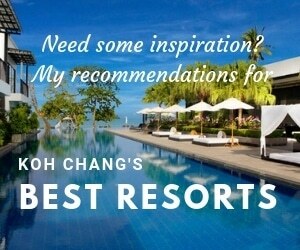 There will be other resorts that I have listed here that would make other people’s ‘Best of’ list – no doubt about that. But I’m pretty sure that if you book one of these resorts then you won’t have any unexpected surprises. And to narrow down the choices even more I’ve listed places in a few different categories, depending on your budget and the type of place you might be interesting in staying in. With the addition of a couple of new hotel blocks, one with a rooftop pool, and a beachfront lagoon pool KC Grande Resort ticks all the boxes for anyone wanting a high standard of accommodation on a great stretch of beach yet only a few minutes walk from dozens of places to eat, drink and shop. And that’s not all. Some cracking beachfront villas opened in late 2015. They aren’t cheap, but they are the best the island has to offer in terms of a 5 star beach villa with direct access to the beach. KC Grande is located at the northern end of White Sand beach and has one of the longest beach frontages of any resort on the island. That’s a very big plus for the resort as 90% of people reading this would want their resort to be on a good beach. There is a variety of accommodation options from Sea View Grand Suites complete with jacuzzi on the balcony which are as good as you’ll find anywhere and the Garden View rooms and villas that provide cheaper but very comfortable alternatives. So you have a resort that is fancy enough for honeymooners but with spacious gardens, great beach and huge pools that families will enjoy. You can also escape the crowds at the rooftop pool on the inland side of the main road and have a good night out with plenty of shops, bars and restaurants within a few minutes walk. I’ll admit that it’s probably not the best for service and that it can get crowded and a bit chaotic during peak season but it just ticks so many boxes that it’s hard to ignore when it comes to recommending a good luxury resort on a great beach. Judging from emails I receive, KC Grande Resort is by far the most popular 4 – 5 star resort on the island. Not a fan of large resorts? Like teak wood bungalows but also love a bit of comfort and good service? Compared to other islands there is a dearth of what travel magazines like to call ’boutique’ hotels on Koh Chang but for anyone looking for a medium size resort with a very high standard of service and accommodation, which is private yet only a few minutes walk to numerous restaurants and small shops the Gajapuri Resort is as good as it gets on Koh Chang. The original resort consisted of 19 teak wood cottages, including four pool villas, are linked together by raised wooden walkways that run through the resorts lush gardens from the breakfast room at the rear to the four beachfront bungalows. In 2014 the annex on the adjacent beachfront plot opened and doubled the size of the resort. However, this means that there is a now a large communal pool and plenty of outdoor space in the beachfront garden area. Admittedly the beach isn’t the best on the island but this is more a place for people who want to relax and get away from it all than it is for those who want to lie on the sand all day. A very good pick for an upmarket romantic getaway where you can be pretty sure you wont be surrounded by hordes of children or Chinese package tourists. Santhiya Tree Resort is an ideal choice is you’re looking for a secluded location on the west coast of the island. It’s in the centre of Klong Prao beach, the quietest stretch of beach on the west coast. Always gets great reviews for it’s staff, many of whom have worked there over a decade. A new riverfront hotel block with stunning views is being built and should open in late 2018 / early 2019. Main downside is a 15 minute walk to the village. But there is a free shuttle service for guests. The Chill, Kai Bae beach. The top rated luxury resort on Booking.com. If you want the convenience of KC Grande with plenty of shops and restaurants close by but without possible downsides such as too many families or being in a very large resort, the The Chill is an ideal resort to consider. Big enough to have all the facilities you need but small enough that you’re a name not a room number to the staff. The smallest room is 50sqm and all are fitted and furnished to a contemporary 5 star standard. They even serve an all day breakfast for late rising guests. One negative to be aware of is the beach, which is just a thin strip of sand in front of the hotel. The Emerald Cove would be another obvious resort to consider. One of those places that doesn’t offer anything unique but you know what you’ll get before you arrive and it’ll be done to a very high standard. A bit like a hotel equivalent of Starbucks. European management, pricey but great Italian restaurant, the Emerald Cove has everything you expect in a 5 star resort. The highlight is the huge pool. Not a great beach unfortunately, so the resort has made a very spacious sandy area with sun-loungers for guest use. The Dewa, close to the Emerald Cove, has unique ‘love it or hate it’ architecture. and is the funkiest of Koh Chang’s luxury resorts for sure. If you want something distinctively different book here. Love the reflective, dark drown pool tiles that make it look like you’re diving into a mirror. The Mercure Hideaway, from the well known Accor chain, so you know you’ll get a high level of service and high standard of room there. Often has very good deals on rooms which makes it the best value for money 4 star resort on Koh Chang. However, it’s a bit of a hassle getting out and about as it’s away from the main beach areas. And, whilst the beach looks great at high tide, at low tide you can see it’s artificial and offshore there are a lot of rocks. Not ideal for swimming but great if you want to catch a few crabs or shellfish. It was a bit of a risk for the two Thai partners who own Warapura to build what is a very nice, stylish small resort smack in the middle of Lonely Beach, the main backpacker area on the island. But it has paid off and the resort is exceptionally popular with those who appreciate a sea front pool, wifi, LCD TV and informal but efficient staff. Inside the resort you are a world away from the backpacking masses staying in the budget huts nearby yet you are only a few minutes walk from a multitude of bars and restaurants where you can eat, drink and party cheaply. If you have travelled in your youth and still like a good night out, but now need a good night’s sleep and some comfort combined with a laid back atmosphere then Warapura is the place for you. The resort is by the sea but not on a sandy beach, but if you’re the type of person who would stay here then a 10 minute walk to the sand isn’t going to kill you. Best laid back, small resort to get away from it all. It’s got to be Amber Sands Beach Resort. Amber Sands Beach Resort?. . . but it’s on the wrong side of Koh Chang!?! True, this six bungalow family run resort is located on the east coast, but only 15 minutes drive from the busy White Sand beach, and true it isn’t within walking distance of any souvenir shops, beer bars, tailor’s shops or even a 7-eleven. It’s a little hideaway where you can while away your days away from the vast majority of visitors to the island safe in the knowledge you wont be sharing breakfast with a large group of hungover package tourists and won’t find all the sunloungers permanently annexed by Eastern Europeans. The owners take great pride in their customer service and in running a family friendly resort for anyone who wants to experience a quieter side of Koh Chang. The bungalows all have sea views and are built around a garden area, complete with small swimming pool. Adjacent, a beachfront restaurant is open all day long. There are a couple of other small resorts on this stretch of red sand beach, so you aren’t tied to eating every meal in the resort. As with any resort, a full range of activities are on offer so arranging the same trips and tours as are possible from any west coast resort is a breeze. Cosy, friendly, good value and well run. You can’t really ask for much more in a small resort. Ideal if you want to spend your days busy doing nothing. Should have been on the list? There are quite a few other options that are well worth considering. Especially when it comes to small resorts. Only 100 metres from Amber Sands lies Serenity Resort, which gets equally good reviews and has a similar standard of bungalows plus small pool by the beach. It should also be on the shortlist of anyone looking for a cosy, small resort away from the crowds. For five star luxury then the new Parama Koh Chang Resort in the south east of the island is a great place to get away from it all. Not on the beach but they have a private island nearby with a lovely white sand beach – and that more than makes up for it. Downside is that it’s a long way from the main beach areas and only a couple of local shops, close by. Nest Sense – Newer and a bit more upmarket than Warapura which is 400 metres away. Opened in early 2014 and gets consistently good reviews. Far enough form the parties for you to get a good night;s sleep but c lose enough to be able to walk to find some nightlife. The Spa Koh Chang – Beautiful health resort in a very peaceful spot, looking out over a mangrove lined bay ideal for anyone looking to spend a week detoxing or just want some ‘me’ time with no distractions. No beach and no distractions, such as shops, nearby. Although the resort does provide some daily trips to the outside world and the bright lights of the west coast. Little Sunshine Resort – Family run and actually three luxury beachfront homes combined to make a small upmarket resort with great personal service and attention to detail. This lovely little beachfront resort is akin to staying in a wealthy friend’s house and having their staff take care of you. Kai Bae Garden Resort – Well run and gets rave reviews, one of the best options if you don’t need sea views or to be right by the beach. Voted as one of the ‘Top 25 B&B’s in Thailand’ by Tripadvisor for 2013, 2014 & 2015. And getting one of those ‘Traveller’s Choice’ award things every year too. ( I think our dog ate the last certificate we got.) That’s in addition to being owned by me, the person who writes this site. I wanted to list one place with cheap aircon rooms which also fitted the criteria for getting good reviews and being something a bit different from the norm and that isn’t easy to find on Koh Chang. You can find an AC room for around 1,000 – 1,500 Baht/night in High Season on Koh Chang at numerous roadside resorts but staying next to a main road isn’t a setting that gets the pulse racing. If you are looking for something different that you won’t find on most islands, then Baan Rim Nam might be for you. We have just five ensuite, double rooms in two renovated wooden fisherman’s houses on the Klong Prao river estuary. The beach, which is the quietest on the west coast of the island, is 150 metres walk through the coconut field or 300 metres paddle down the river. There’s no traffic noise and no loud bars nearby and you are more likely to be woken up by birdsong than anything else. Although we are right in the centre of the west coast of Koh Chang, we are 15-20 minutes walk from the nearest shops & minimart but there are several restaurants within easy reach. Little Eden, – Very popular, well run backpacker huts that seem to remain full throughout the High Season, located just off the main strip in Lonely Beach. And even if you don’t stay there the restaurant is worth trying. Oasis Bungalows – At the top of the hill above Little Eden. Another upmarket backpacker place that does a great job drawing in younger guests who want some comfort. Has AC and fan bungalows and the addition of a treehouse 20 metres off the ground with amazing views. The restaurant also has a very good reputation for serving up some of the best food in the area. Lazy Republique – Only a handful of modern AC bungalows, located in Bailan, south of Lonely Beach. This French/Thai run ‘resort’ is around 1,200 Baht/night. 100 metres walk to a small beach and free flowing coffee at breakfast time. Book in advance – it’s full most of the year. Journey’s End. This English-run hideaway is located way down in the south-east of the island on the shores of Salakphet Bay. It offers an escape from the hustle and bustle with just a handful of fan and AC bungalows, plus the option of camping if your budget is really tight. Only been open a year or so but already has a great reputation. There are a few restaurants and shops nearby but you’re a world away from the west coast beaches. The resort also runs regular boat trips to the islands south of Koh Chang. Cliff Cottage in Bangbao. Spectacular location – with both sunrise and sunset views and easy going ambiance. Choose from fully furnished ‘glamping’ tents or AC bungalows. Ideal if you want to avoid the gap year students, loud music, fire shows and just have a quiet place to chill out. Plus there’s some pretty good snorkelling in the cove right outside the restaurant. Kayak rental is free of charge for guests staying 3 nights or more. Tiger Huts – Everything you want in an ‘old skool’ budget backpacker hut. The old huts have been rebuilt and are now waterproof. No frills, no wifi, no cocktail buckets or fireshows, just cheap accommodation on a quiet stretch of beach and a very good, inexpensive restaurant. Hippy Hut – Located near Bangbao fishing village on the south coast of Koh Chang. These basic, rasta themed fan huts with shared bathroom go for around 200 Baht / night in High Season. You won’t find anywhere cheaper. There are an ever increasing number of Airbnb rentals on the island. If you’re looking for a luxury villa for a week then the two main locations are at Siam Royal View in the north west of the island and Baan Talay Thai on the east coast. Each of these developments has numerous properties listed by their owners. There are some beautiful homes available. Prices are cheaper at the properties at Baan Talay Thai. If you’re looking for a one or two bedroom apartment in a quiet location, with amazing views, beachfront pool and a good range of shops and beach restaurants within 10 minutes walk then Tranquility Bay Residence is a great place to consider. Prices are cheaper than hotel rooms and, although you won’t get the same service as you do at a resort, you will get far more space for your money. Figure on around 3,500 Baht / night for a one bedroom property. Just want to say Nice blog! I read your article. I really like the recommendations, I’ll check some out. 15 Palms is a good choice. Better value for money than most beachfront places. Ticks all the boxes. The beer bars are all nearer the opposite end of the beach, about 1km away. But that’s an easy walk with plenty of beachfront restaurants, bars etc on the way. Sabay Bar & Oodies, for good live music are both within 5 minutes walk. Ian, thanks for the great information! 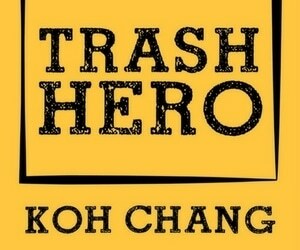 I am traveling to Koh Chang In November. Single male traveling alone. Want nice beach area and close to bars, food, music, shopping. I have booked 15 palms, but can change if you suggest a better place for me. Thank you! It sounds like White Sand beach is the best option for them. There’s a good choice os places to eat and small shops within easy walking distance of all resorts. Have a look at KC Grande Resort or Kacha Resort. They’re the best beachfront options. Hi, looking to book a deluxe resort for an elderly couple who want to stay in the centre close and accessible to shops, restaurants and also a good Beachfront. Is white sands beach a good location. Which is the best resort there? You can’t miss the new riverfront hotel block when you arrive as it towers over the car park. But you won’t see it or hear construction work when you’re in the resort itself. The heavy work is almost complete. They’re doing the roof now. And they rarely start early or finish work late. Many thanks, Ian. Just one more thing. Will there be an issue with a building under construction next to the resort? I saw you mentioned that in your description of Santhiya Tree. Are these construction works going on the resort area? I tried to get the same information from the resort, but they did not reply. Thank You. The highest tides are during the busiest time of year. November – February. The beach can disappear on some days. In April the tides will be lower. So people will be complaining its too far to walk to the sea to swim. It’s also not too remote, so easy to take a taxi to one of the other beaches for a night out. Great site, very helpful comments and much appreciated advice. I wonder whether you could recommend the Santhiya Tree resort which looks fine to me. I am coming in mid-April and thinking about booking there 6 nights. Do you see any disadvantages of the place? Some people complained that the stretch of beach there very often disappears under water. Will that be the case in mid-April? I would appreciate your advice as there is not much time left to book. If you can point out any alternatives (I prefer a pool villa and pretty quiet location on beach), then it would also be great. Thank you for you help. Hi Emil. Nature Beach is a good choice. The majority of the bungalows are only a year old and the resort has changed from being budget huts to being mid-price aircon bungalows. So is getting more of a mixed group of visitors now – not only backpackers looking for a cheap beach hut. But it’s the best value you can get on the beach in Lonely beach. The bungalows are quite small and are close together, that is the only downside. Hi Ian, We are three guys who are looking for a place to stay in early april. We are all in our early thirties and would like a place that’s close to a nice sandy beach (as close as possible) while still being relatively cheap and close to good party spots. We’re still split between lonely beach and white sands, although leaning towards lonely beach. Warapura checks most boxes except that it could be closer to the beach. Do you have any thoughts on Nature Beach Resort? You can’t compare them directly because they are different types of resorts. They get good reviews because they are good hotels. But different types of places for different types of visitor. If you want four pools, jacuzzi on the balcony or a villa oby the sand, then you go to KC Grande which has a 200 metre long beachfront. If you want a smaller hotel with a room overlooking the main road and a great view to the sea from the rooftop pool, then you go to Erawan. I will be travelling to Koh Chang and nearby islands from Norway in march for 3 weeks. I’m thinking about starting my stay at Paddy’s for 4-5 days for some relaxing and fun, then head out to the other islands and then come back to koh Chang for the last week. That week I want some high end accommodation, and I’m thinking about either KC Grande og The Erawan. From what I can see online I think The Erawan looks slightly better, but I can see that you recommend KC Grande here at your site. Is KC Grande really that much better (same price) and why? It’s about 10 minutes walk along the beach from KB Resort to Sea View Resort. Sea View is much larger and further from shops & restaurants. Kai Bae Beach Resort has improved a lot. But they’re doing construction work at the moment. Only during the daytime. But you’ll notice it when you’re in the pool or if you’re in the hotel block. Won’t really notice it if you’re in a bungalow. Thank for a very good site! I am travlleing to koh Chang 29/1-4/2. We are me (44) and my two kids (12 & 10). We want to be on or near Kae Bae beach as friends are staying at KB resort. We like good comfort in rooms and beds, and good food for breakfast and close to other restaurants. We also love to play on the beach all day. We are considering Sea View Resort, but it’s a bit expensive. Is it better than KB resort? And can you walk along the beach from one to the other? Also we are looking kae bae beach resort – is that better than sea view and KB? As far as I know there isn’t any major construction going on at Sea View at the moment. There’s always some repairs & renovations during the low season. So if you’re coming in High Season I wouldn’t worry. Of the other hotels Centara or Emerald Cove are on better stretches of beach. Or AWA has the best choice of restaurants, shops etc within 5 minutes walk. awesome site with lots of informative reads! I am coming to Thailand with my wife and parents in end November this year (first time for them, for me it’s second time as I have already been to Krabi once) and thought of spending 5 days in Koh Chang. My wife and I coming to KC from BKK (5-14 Aug). I am willing to pay somewhere between 50-100 dollars a night. I want nice and quiet, nice beach, I don’t care about walking distance to a bar or a place to eat, I don’t care about wifi or tv either. We might go and do a spa session but that is about it. I don’t want a backpack place or a party place either. We are kind of on the private side and not “resort” people I guess you’d say. I know you have a couple of places for rent but the one I want is taken on those dates. If you got something in mind, let me know and I will check this post over then next couple of weeks. Thank you sir! It’ll be pretty quiet everywhere in September, so try White Sand beach. There are a couple of good sports bars – eg White Elephant & Paddy’s Palms that have Aussie rules plus all major sporting events. And you’ll get some good deals on rooms. If you’re on a budget both White Elephant & Paddy’s Palms have rooms or bungalows with pool for under 1,000 Baht / night during Low Season. Or you will be able to get a room on the beach for well under 2,000 Baht / night eg Bamboo Resort or Cookies Resort. You’ll have to compromise somewhere. The only beach with smaller resorts beachfront is White Sand, which is by far the busiest. Maybe Chivapuri Resort on Klong Kloi would tick the boxes – quiet location, good beach, great views, restaurants further along the beach. Your site is so informative that I find myself bewildered by the options ! We are a couple in our 60’s, my wife is Jamaican and we have lived in The Caribbean, traveled reasonably widely and are “beach snobs” Our priority is somewhere quiet, preferably directly on the beach where the swimming is good. We will be visiting in early November. We’re not really resort people although somewhere small would be fine. The price is less important than the ambience,sea view, swimming and peacefulness. Having said that, we are not reclusive, we would like to be able to walk to local eateries and get a sense of the area so wouldn’t want an all inclusive package but somewhere with a good restaurant on site or nearby for when we don’t feel like leaving where we are staying. A tall order perhaps but you seem to be the man who has his finger on the pulse and maybe you can elp point us in the right direction. Thanks in advance. Hi Ken. You should find some good deals in mid October as the island won’t be busy. It;s the end of the rainy season, so you should expect some rain – although not all day or every day. Pretty much any beachfront resort on White Sand, Klong Prao or Kai Bae beaches would fit the bill. White Sand is the most touristy, but wont be too busy in October. Klong Prao will be the quietest and if you stay near the southern end then you’ll be able to walk into the village easily. Kai Bae is a good mix between the two but the best resorts ( Gajapuri / The Chill / AWA Resort ) don’t have such a good beach directly outside. So, I’d go for the place that has the best deals on rooms. Hi there. We are looking at a Holiday in mid October 2017. We have been to Phuket twice, Krabi & Ko Samui. Looking for nice comfortable resort, walking distance to shops and restaurants. Beach front would be nice. Both in our 60’s but like walking. Looking for probably 10 days. Any suggestions would be appreciated. I think 3 weeks in June would be too long here. It’s rainy season so you cant guarantee good weather all the time and even in High season there wouldn’t be enough activities to keep someone entertained for 3 full weeks. To get to Koh Tao you have to go back to Bangkok. It is a long way from Koh Chang. Thank you for all this great information! My daughter and I will be traveling to Thailand from mid May through mid July, 2017 (the only time we could arrange to come). If we were to stay in Koh Chang for three weeks is there enough to entertain a 13 year old adventurous girl in June? Also, I am still not clear or how to book a room with you or how we get from Bangkok to your place and if scooters are available for rent anywhere nearby? Lastly, we were hoping to visit koh tao for snorkeling prior to Koh Chang. 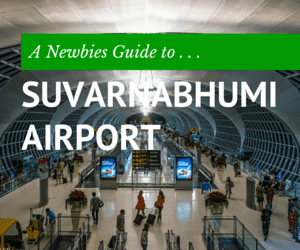 How do you get from one place to the other – does one need to go all the way back to Bangkok? Thank you again for this site – it has been a great guide and prevented me from making the mistake of booking at lonely beach. Hi. I don’t think you’ll find that on Koh Chang in high season. You’ll either have to have a bungalow set back from the beach or a hotel room. Hi. Try somewhere like Oasis Bungalows. A bit away from the noise, laid back, good owners & fast WiFi. I was very impressed by your site … you must have been a journalist or writer in an earlier life I think. I am coming to Koh Chang as a a solo traveller 30 something .. want somewhere social to meet people and have fun / party (or rather have option to party) but as you say may be too old for gap year students and alas not too keen on Putin’s tourist armies either (seem to be a huge number of them in Thailand) . Slightly but not excessively bourgeois too so need air con and wifi for work. Is a good (ish) bungalow on Lonely Beach the right option would you say? Hello, do you have a clear reply if I am looking for a front beach bungalow with aircon and pool in the resort for less than 2000 thb / night ? The Chill in Kai Bae is the one that springs to mind. Mid size resort and more for couples than families. But not a great beach. Or have a look at Flora Italay on Klong Prao beach, new, modern bungalows and a long beach. I love a bit of luxury and also modern design, but hate being stuck with lots package tourists in a large resort. Which places would you recommend? Which hotels have the best beaches? That´great, we made a Guide for Backpackers. It´s actually in german. But everyone will understand the prices and the pictures. With this Guide you can find all the cheap Bungalows on Koh Chang. But your artikel is awesome. Thanks a lot! Thank you so much for your reply, having only just popped back to your site to see if you had replied I’m pretty chuffed that your suggestions are the ones I have also narrowed it down to. Thank you so much for taking the time to reply. On Kai Bae beach, try Gajapuri Resort. Big pool, plenty of space for kids. Downside is the beach isn’t great. But in October, the sea might be a bit rough. So you probably won’t be swimming much. On White Sand beach, KC Grande Resort would fit the bill. On Klong Prao beach, Centara Tropicana Resort would be a good choice. Popular with families & only 5 minutes walk to the village. There’s Apple Beachfront Resort on White Sand beach. The old bungalows were knocked down a couple of years ago. Wondering if the small Apple resort still there? Down the beach from Cliff resorf. Hi Petra, just noticed this comment. Already replied to your email. The weather should be OK. The rainy season usually ends in the last 2 weeks of October. So expect some rain but also plenty of sunshine. ( Today there was an hour of very grey sky & heavy rain at breakfast time but that was followed by hot sunshine for most of the day. Resorts will be quiet – so any which get good reviews and are in your budget should be fine. KB Resort in Kai Bae or Paradise Resort on Klong Prao beach are always safe bets.White Sand beach will be the busiest area to stay in. If you just want to play wit elephants then the elephant camp in Kai Bae ( next to the the turning for Kai Bae Hut Resort ) is probably the best place as they have a couple of young elephants. If you stay on the southern half of Kai Bae beach you’ll see the young elephants going for their walk in the morning and afternoon and swimming in the sea. Your kids can go and pet them. We are a family of 2 adults, a child and a toddler. We are planning to stay in Koh Chang from 20 October for a few days. We are looking for a resort with beach front room. Can you suggest a good one which is not very crowded. How is the weather in end October like? Also please suggest an elephant camp for the child to play with elephants. Hi Lisa. Sorry for the late reply, I’m on holiday at the moment. You should be fine at Lonely beach. Try Oasis or Little Eden for safe, friendly, well run places to stay. The beach is good and you’ll have no problem meeting other people. Try BB Divers for scuba diving trips & courses. They have an office on the main road in Lonely Beach. I really appreciate that I found this really good website. I’m planning to Koh chang trip on 4th-8th october on 2015 by myself. I almost choose place to stay ‘Lonley beach’. I wonder where is good hotel or resort for me . Many accomodation I found couldn’t know where is located. Maybe I couldn’t find well. 3. airconditioner, include breakfast, wifi, can interaction with tralver. Yes, White Sand beach is very touristy now. It’s not somewhere I’d choose to spend my holiday. But lots of people like it. It may have changed a lot in the past decade, but virtually everywhere in the world has. Compared to other large islands in Thailand, WSB isn’t anywhere near as developed as many beaches. I went to Kho Chang White Sands in 2005, I went back again this year and I hated it. It’s a rip off now, far too expensive and it has lost that beautiful rustic atmosphere it had when I was first there, White Sands was a beautiful memory ruined by commercialism, its just money now and the food and entertainment is not as good as the first time I went there, I will never go again. August is the rainy season, so you cant guarantee calm sea and sunshine. There will be some rain. All beaches have massage shops. The busiest is White sand beach. You’ll find a lot of good value accommodation in August. hi.i like to go to koh chang and i donot know which beach i better for me.i am looking for busy beach and i like to have massage shops near.what is your recomendation ?do u think that august is good time to travel?thank u very much. Hi. Sorry for the late reply, was away on holiday. All the elephant camps charge the same prices. So you probably wont get any bug discounts. The long trek, which includes bathing the elephants is always the most popular – 1,300 Baht / person. If yo uwant to save money and just play with the elephants a bot, the camp in kai Bae has a couple of young elephants that they take down to the sea every day. You can go and play with them in the ssea. not sure of the cost though. it;s good if you have kids – something fun to do and they wont get bored. Plus cheaper than taking an elephant ride. Where should I go for an elephant trek. We are a group of 7 and on a tight budget. looking for an worthy experience. There are only a couple of chain hotels on Koh Chang. Gajapuri Resort is a good bet if you want very nice bungalow accommodation by the beach in a mid size resort. Or The Dewa, Awa Resort and The Chill are all a bit more interesting than the usual run of the mill designed beach hotels. For a better & quieter beach try Panviman Resort – only downside is that it’s 10 minutes walk to shops and the village. My husband and I will be visiting Thailand in April to see our daughter who is working there this year. We’re wanting to spend 4 or 5 days with her in a beach setting, and have been recommended Koh Chang as being not too far to travel from Bangkok where we will start off with her showing us some sights. My husband is used to the comfort and convenience of business travel but I don’t really want a chain hotel. Any ideas would be gratefully received. Siam Royal View isnt too far from White Sand beach. The only problem is that you will have to either walk up to the main road, 15 mins walk, to catch a pick up truck taxi. Or pay extra for one to come and pick you up from your house at SRV. Great website! We’re visiting Thailand in Dec 2014/Jan 2015 for our honeymoon and are looking for a quiet option relatively close to amenities. What do you think of Siam Royal View on Klong Son Beach? We’ve found quite a few affordable rentals there. Is it very remote? Hi. Keereeta Lagoon is close to our guesthouse. Nice rooms. A bit pricey though & there might be problem with access by foot to the beach, as the landlord is currently planning to build a wall which will block the way for their guests to walk to the beach. Can still go by kayak though. I’ve tried to reserve for January one of these sites recommended by you but unfortunately no free rooms. I’ve found Keereeta Lagoon… Do you know anything about this property ? Thanks in advance ! ps – any other recommendation for 28-31 January 2015 are welcomed. Hi…We were planning a holiday to Koh Chang with my parents in December 2014. We would be 4 adults and 2 toddlers. We are looking at a family hotel/ resort/villa closer to the ferry pier considering we will be driving down from Bangkok and then taking the ferry, which would mean long hours on the road. Pls let us know what you would recommend so as to cut down our travel time and be a convenient place too for a large family. Thanks a ton! Hi Clay, you’ll find bungalows on kai Bae beach in that price in mid July. Kai Bae Hut, Kai bae beach Resort, Mam Kai Bae. KB resort have nicer bungalows but i think will be outside your budget. Or nearby Coral Resort’s bungalows are by the sea & have great views north towards Klong Prao & White Sands but the actual beach is 2-3 mins walk away. Some of the smaller places in the centre of white Sand beach – Apple, Tantawan, Bamboo, Sangtawan bungalows also drop their prices and although you probably wont be able to book online, often have bungalows right by the beach for around 1500 / night. The busiest beach and bungalows are packed in tighter than in Kai Bae but shouldn’t be too noisy at that time of year. Hi Ian, I have been following your site since my first Koh Chang visit a year ago. Great site! My GF and I will be coming around mid July and want a bugalow on the water with AC. Not really into laying out on the sand but walking the beach in evening and waking up to a sea view. Budget is 1500 Bht give or take. Thanks for what you do! You’ll be able to find rooms easily enough in late July / early August. But large resorts often have better rates online than if you walk in. Also bear in mind that the sea can be rough , so even if it is sunny, don’t expect clear water at that time of year. Need to take care too as there can be strong rip currents. The calmest sea will be on the east coast or on the south, close to Bangbao – try resorts on Klong Kloi beach, they are sheltered from the waves. Hi Ian, do you recommend booking in advance for KC end July beginning August? We are considering White Sand Beach Resort. Looking for nice beach and clear water. Any alternatives? Thanks. By the way like your website and the info. Comments are worth reading. Early May is a holiday – ‘May Day’ is a public holiday in many countrioes around the world, including Thailand and most of SE Asia. So a lot of resorts will be busy for the first few days of the month. I am finding it very difficult to find accommodaton between the dates of May 1st to 7th. Is it a busy period ? any special events/holidays ? I guess it depends on your budget. Gajapuri Resort in Kai Bae is a good place, as it doesn’t get too many families with small kids. Mercure Hideaway in Bailan is in a quiet sport, so isnt as popular as other resorts of a similar standard. Maybe Little Sunshine in Klong Son, a very nice small resort, great reviews and popular with couples or people who enjoy peace and quiet. My partner and I are planning to spend our honeymoon from May 1st to May 7th. We are looking for a luxurious place, quiet and affordable. What are your recommendations? Koh Chang will be very busy, it;s better to avoid coming here at Songkran. The bus is the cheapest way but all buses will be packed. If you want to come then leave Bangkok before the 12th. Good accommodation will be whatever is available and in your budget. popular, good value places will already be fully booked. Try Lonely beach or Bailan for a good range of cheap accommodation. I am new in Thailand and I was planning to visit Koh Chang during the Songkran Vacation. Could you please suggest what will be the cheapest way to travel to Koh Chang from Bangkok and a good accommodation too. I am a student so the cheaper it is, the better is it for me. Apparently it’s very nice. good if you want peace and quiet away from the main beach areas. A bit remote if you want to go out and eat & drink in other places at night or want to be on a good beach. If Koh Chang is too busy for you, it’s probably easier to just stay on Koh Wai, Koh Mak or Koh Kood instead. All much quieter & all with a different atmosphere. Easy to get thewre from koh Chang or the mainland. Try Paradise or Friendly Bungalows on Koh Wai or Island Hut on Koh Mak for budget backpacker huts on good beaches. Me and my friend are planning to visit KC in about a week for 4-5 days. We have been down south of Thialand, Koh Phi Phi, Koh Lanta, and the most beautiful visit to Koh Ngai, we are now in Koh Phangan, and surprisingly we are feeling very lost. I have a worry of Koh Chang being similar. Yes we are on backpacker’s budget, do you have any advice on how to make our visit to KC little bit less stressful. At the end of April it will be easy to find a room pretty much anywhere on the island. Maybe try one of the bungalow resorts in the centre of White Sand beach, Apple, Tantawan, Sangtawan,Bamboo – they will have bungalows for 1500 Baht/night or so. I am looking to stay in KC for 1 week at the end of April. I am looking for a non-luxurious place, like a bungalow style if possible, to stay that has wifi. I’d like to stay close to the beach but also close to local restaurants and nightlife. Could you please give me some recommendations? Try Oasis or Little Eden. They are two good places to stay in Lonely Beach. Any cheap accommodation recommend at lonely beach area? On White Sand beach – Kacha Resort is popular with families and within easy walking distance of plenty of shops & restaurants. They have larger family rooms – but not sure if they have one large enough for 7 people. Or try Koh Chang Lagoon which has just built a new beachfront pool and is popular with Thai families. We are a Norwegian family of 7. 2 adults and 5 kids (8, 9, 10, 11 and 17). Mid april we will start our holiday with some days in Bangkok and finish with 12days on Koh Chang. I have been recommended White Sands Beach area by friends/locals in Bangkok. What do you recommend of accommodation (must have pool!) where we can stay as a family at a medium/reasonable price? Another question – One of our kids suffers from coeliac disease and need 100% gluten free meals. Any tips or preparations needed? Thanks for a freat site and hope to hear from you soon. One of the bungalow resorts on Kai Bae beach might suit you. KB Resort, kai Bae Beach Resort, kai Bae Grandeville, Kai Bae hut. Quiet location but easy to walk to the main road and plenty of shops, bars and restaurants. Or take a look at White Sand Beach Resort, beautiful beach but the bungalows & staff don’t get such good reviews. I think fine if you can organise activities yourself and just need a place to sleep. About 10 – 15 mins walk to the busier central area of the beach where there’s lots of places to eat & drink. We’re planning a family holiday in Koh Chang in December 2014. We will be between 5 – 8 adults and ‘d like us to be together but not falling over each other. What would you recommend for accommodation? We don’t require 4/5 star luxury, but would love to be conveniently situated to a nice beach. See http://www.ambersandsbeachresort.com for more information. It is located on the east coast of the island a few minutes drive south of the ferry piers. Thanx for your nice site, it helps me to make my final choice where to stay. We like very much the Amber Sands Resort. Can you give me some more info about it and its position? I really apreciate any help. There are cheaper huts on the beach just north of KC Grande Resort – for example Star Beach bungalows, Pen’s Bungalows, Independent Bo’s. Nothing fancy – definitely in the ‘Non luxurious’ category :-) but right on the sand and 10 minutes walk to the busier central area of the beach. I’m visiting KC in feb 2014 with four friends. What would you recommend as the best luxury resort closest to the hub of the island! Price is not an important just want to have a fantastic resort close to everything that ticks all the boxes. There’s not much that’s cheap and actually on the beach – Yakah, Sangtawan, Apple & Bamboo are all older bungalows which rarely take advance bookings but are under 1,500 Baht/night and right on the beach. Just a matter of waling in and seeing what’s available. best advice is to get to Koh Chang as early as you can to beat the majority of people coming from Bangkok. Alina Resort is on the beach, cheap and on most booking sites. But you’ll get better value for money if you stay on the inland side of the main road eg Sai Kao inn, Arunee, Buffalo Bills, SP Place. But again, not so easy to book these online. If you’re Ok with 5 mins walk to the beach Paddys Palm’s Resort is usually around 1,000 / night for AC room & pool. Loving your site very much. I’m going yo visit koh chang for two or three days this December with my friend. We’re planning to stay at white sand beach. We’re traveling as low budget travelers. Which hotel do you recommend? After Rock Sand you have a small place called Maylamean and then another 50 metres further you are at the first of the bungalows from White Sand Beach Resort. So it shouldn’t be a problem , take a torch and you’ll be fine. At very high tide you might get your feet wet near Rock Sand but you’ll be able to walk on sand 95% of the way at any time. Will be in Koh Chang end of this month. Considering staying at White Sands Resort, but my girlfriend is a bit scared about having to walk back along the beach in the dark after a night out in the busier area of the beach. Thinks it may not be safe. How dark is it ? I assume there are no lights after Rock Sands. Is it still possible to walk to the resort at high tide ? Great site! I stayed at the Kancha about 4 years ago. Can you recommend a bungalow or one bedroom accommodation with fridge as from July 2014. We would like to be where there is a bit of action. At least within walking distance of the beach if we do not have a swimming pool at our bungalow.We are planning to stay for at least 3 months. Are there any furnished one bed room apartments for rental. Hope to hear from you soon as I would like to do our air reservations asap. I guess it depends on your budget. Try Gajapura Resort for a very good ’boutique’ place with accommodation in luxurious wooden bungalows. For a cheaper bungalow, maybe Warapura on Lonely Beach if you want a nice resort by the sea with some good nightlife nearby. Or the new Flora I-talay Resort on Klong Prao beach which is mid-price and in a very good location. Easy to walk to shops, restaurants. Hi! Great site! Me and my girlfriend (27 and 28) are traveling to Koh Chang in march next year. We are thinking of staying one week in one spot that’s more luxurious, and one week on a bungalow om the beach. What would you recommend? I understand there is a Construction site next door. We are going to KC 25.january. Would it be much Construction noise do you think. Otherwise we go to Amari. Been there before, but I liked The Chill better. The Panviman is very good too. A bit too ‘mock Thai’ for my liking but it’s a nice quiet location on a quieter & better stretch of beach than Amari. But the restaurant doesn’t seem to be the best – at least not according to people I meet. ( We are about 200 metres away on the river.) Also it is a bit of a walk to the village, not everyone likes that, although there is a free shuttle service. I’m visiting koh chang with my girlfriend (both 30) in the second week of januari. I’m trying to decide which hotel we would like to stay. We would like a luxury hotel. I’ve seen panviman and the amari emerald, both good reviews on tripadvisor. Can you tell me the difference in quality or other points at the moment between these two? The panviman is not on your top 5 short list. Is it because the amari is much better? This is exactly what I’ve been looking for, after reading very so-so reviews of the bigger resorts on TripAdvisor. Now, I hope I haven’t waited too long to get into one of these nice places Feb. 19-24, 2013! It depends on what time of year you are visiting. Try one of the bungalow resorts in Kai Bae or be prepared to stay off the beach closer to the main road. On the whole it is hard to find a large, aircon, family bungalow on the beach for 2000 Baht or less in High Season. Hi, thanks for this great review.I’m having difficulty finding a/c accomodation on a quiet child friendly sandy beach for 2000 bhat with a room for 4. Where do families with young children on a tight budget stay? I doubt there will be any big changes. Just new signs, uniforms and a bit of new decor. It’s only 3 years old so there would be no need to renovate the place or anything like that. The beach is artificial, a few thousand tons of sand that prevented from being washed away by a breakwater. Looks very nice in photos taken at high tide. But pretty bad at low tide. Shallow bay with lots of stones underfoot – you wont be swimming in the sea much. THX for a great website. Wondering if you heard anything about the Dusit Princess now that its run by Mercure. Any changes or anything? Also what do you mean about the beach? is it bad? was thinking of staying there for xmas or at the Dewa, cant decide. will be staying @the kacha on whitesand beach … we are 4 adults all 60+ and want an easygoing holiday …..any suggestions on what to do and where to eat …we arrive by a pvt taxi on the 10th oct and will check out on 14 th . thought of either the funcruise or the speed bnoat with snorkling and ofcourse hiring atv and going into the sanctuary or is the elephant trek a better bet ? If you are looking for an island that is much quieter than Samui then you have made the right decision. but along with the quietness comes far less in the way of spas or health resorts. if you are looking for a place to get away from it all and do a Detox course, for example, then The Spa Koh Chang is the place to stay. You wont find the equivalent on the busier west coast of Koh Chang. I really thought this site was helpful. It was discouraging to look through Koh Samui detox centers. I decided to skip it all together and go to Koh Chang. Have I made a good decision?